Each 1 dram bottle is hand blended, drop by drop and only the finest oils have been used. Use on yourself or on your gems (use with caution on certain stone types). External use only! 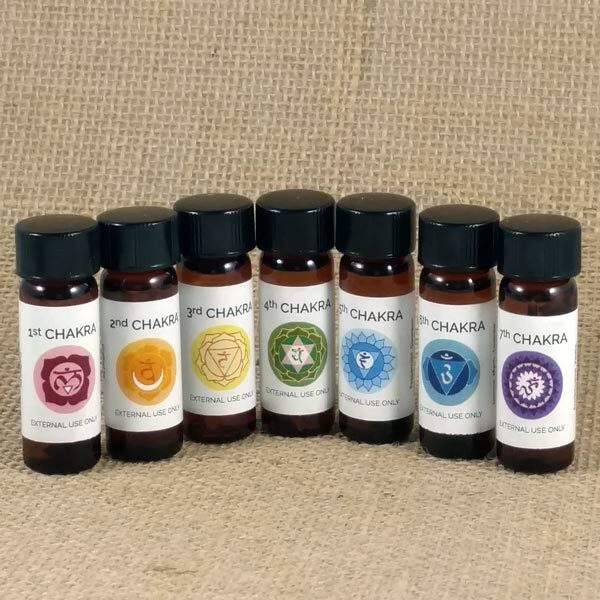 Available for purchase individually or as a set that is packaged in a handy storage jar with a quartz crystal. Purchase of set is like receiving one free bottle of oil! 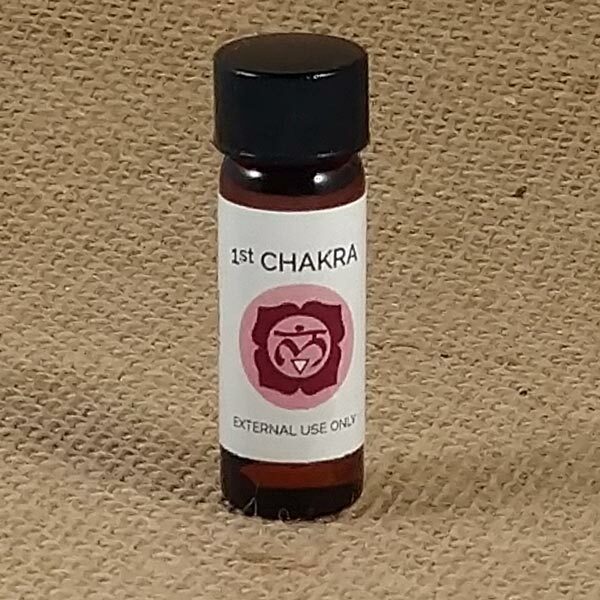 7th Chakra: Frankincense, Vanilla, Sandalwood and Sweet Almond Oils, Lavender Bud and Amethyst Gem.